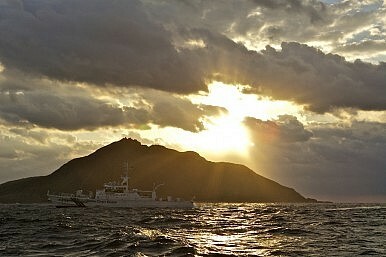 It has been one year since the Japanese government purchased the disputed Senkaku/Diaoyu islands from the Kurihara family. Despite initial alarm that the dispute would spark an unintended war, both China and Japan have managed the new normal of tension around the islands, without escalation. But the next year will not be without its challenges. The issue has been complicated in recent weeks with renewed calls within Japan for stationing permanent structures and personnel on the islands, as well as an uptick in paramilitary and military patrols of the area. The introduction of UAVs to the theater and confusion as to whether or not China considers the islands a “core interest” will further complicate the dispute in the year to come. The Senkaku purchase now joins a series of anniversaries in September steeped in historical baggage for the two nations: September 18, 1931 is the day on which the Manchurian Incident occurred, while Japan formally surrendered to the Allied Powers on September 2. In the week leading up to the anniversary China has increased maritime patrols near the islands, flown two bombers between the Okinawa and Miyakojima and conducted an exercise near the islands with a UAV. These actions indicate that China is signaling that it can assert its territorial claims with surveillance and military capabilities, matching Japan’s plan to increase its level of maritime patrols and defense capability to “respond to attacks on remote islands.” The uptick in military and paramilitary hardware traversing the island chain also risks the chance for miscommunication and collisions that could spiral out of control. The use of UAVs and the chance that the threshold for engaging them could be lower than manned aircraft also adds a new escalatory risk to the dynamic that will need to be managed. As China flexes its growing air and maritime capability, Japanese Chief Cabinet Secretary Yoshihide Suga has suggested public officials could be stationed on the island. This threat echoes Tokyo's former nationalist governor, Shintaro Ishihara (Japan Restoration Party), who suggested in April 2012 that Tokyo purchase the islands from their private owners and station government workers there in newly constructed facilities. China’s outrage at Ishihara’s plan compelled the then Japanese Prime Minister Yoshihiko Noda (DPJ) to respond on the one hand to the Chinese reaction, and on the other to the growing popularity of nationalist parties, like the JRP. The solution was the “nationalization” of the islands though a central government purchase and without a garrison or officials stationed there. Suga said the renewed idea will be considered from “a strategic viewpoint.” The lack of clarity on what possible red-line could trigger the decision will complicate Sino-Japanese relations in 2014, but the “strategic” decisions will undoubtedly also be made with the U.S. in mind, which for its part would rather not have to demonstrate its alliance credibility with Japan or test Chinese maritime resolve in the region. It could be that the U.S., like it did in 1971, is able to persuade Japan not to build or station officials on the island for the sake of foregoing “needless increase in tension in the area,” as the project “would be interpreted by both (Taiwan and China) as raising stakes in [a] quarrel.” But ultimately this development will test the ability of Abe and Xi to deal with crisis and maintain the status quo without escalation. Since the purchase, China and Japan have managed to go a year without serious incident in relation to the territorial dispute, but developments in the last few weeks do not bode well for 2014. William Hobart is a researcher at ResourcesLaw International and an intern at the Lowy Institute.